Today we are featuring an "All about DATA" post. 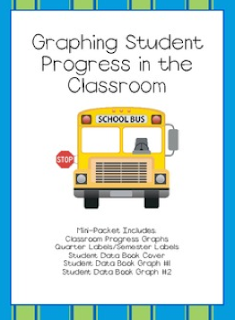 Last year we had to start graphing student data in the classroom. Not only did we have to graph it as teachers, but the students also had to start graphing their progress. Many teachers in the primary grades were really entertained by the thought of our students graphing their progress and understanding what it meant. I mean there were days I spent a great deal of time reminding children why we don't run with large sticks on the playground or tie our own shoelaces together. However, we still expect them to know what the graph means and take ownership of it? Pshhhhtt, umm no. Actually.... sheepishly we all kind of had to eat our own words about two weeks into the progress. We had kids talking about their "stairs" and how they went up "THIS MUCH!!" By the end of the year they were reminding Mrs. Berry in the Reading Lab that she needed to update our graph in the lab because we were at 81% and she only had it colored to 70%. THEY DID OWN IT. They did learn from it. They wanted their graphs to go up. They were proud to show those data notebooks to whoever would listen. In fact, some teachers in our school used them at parent-teacher conferences. We even have teachers that are having STUDENT LED conferences with data notebooks this year. 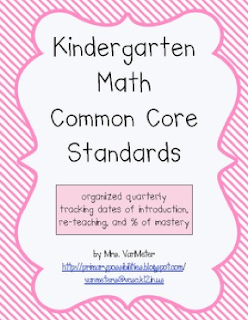 Here are a few data notebooks and other Common Core teacher tools that we use at our school to keep track of data. Most of our mini-assessments also come with data graphs too. The process at our school started with each grade level in the corporation meeting to decide on 10 (or so) math standards. 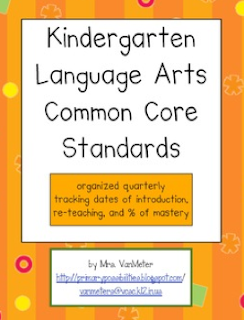 These were the top 10 that each grade level thought were most important to master. 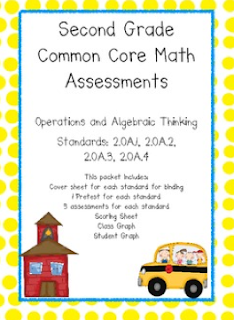 Next, we created mini-assessments that correlated to the standards. Then, we went to work teaching and assessing, graphing and reteaching. Sometimes after assessing teachers found that you only had 5 kids who couldn't get it....you pulled them aside retaught and then re-assessed. I completely revamped my math time to include reteaching and small groups. What does your school do? Do you keep data? If your district is improving to data, data notebooks, graphs.... Don't sweat it. It is a lot of work. It can be daunting at first but when you see the results, children taking ownership (even in small steps); it can be very rewarding. Remember... The first three comments will get to choose a product from this post. We will be doing this for several days. (Leave your email in the comment.) 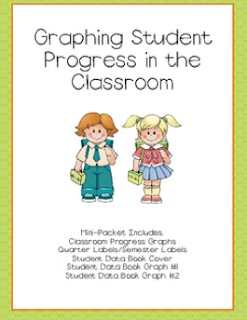 PLEASE blog about this post, Pin ANY of our products (please link back), and get your students ready to graph data!! I really liked this blogpost...so informative! 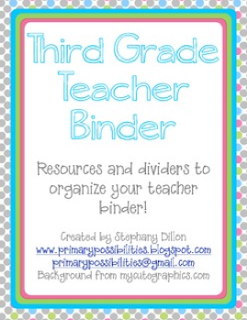 Keeping organized is my new years resolution...so these products are great! I love your organization. My district is beginning the data collection phase. love it! Planning on working on this weekend.! 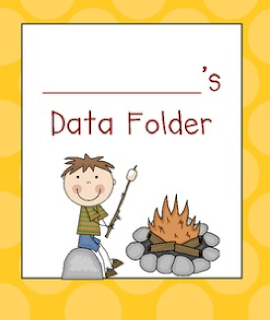 My job as a Title 1 teacher is driven by data. I see the kids that are below the 25% and then I have to track their scores ect. in our program. 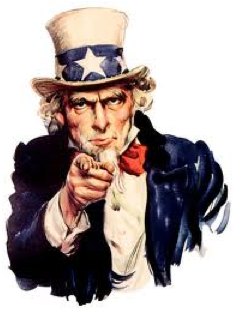 And report the data to my higher up's at the district! 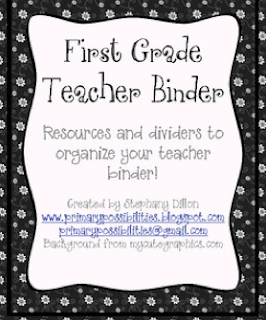 Lots of great resources. Thanks for sharing! I'm a special ed teacher, and this year, I'm going to try having students make their own SMART goals and graph their progress. I'm a little nervous. I grabbed SMART goal forms from Toad-ally Exceptional Learners, but now I have to decide what graphs I'll be using. Nervous!